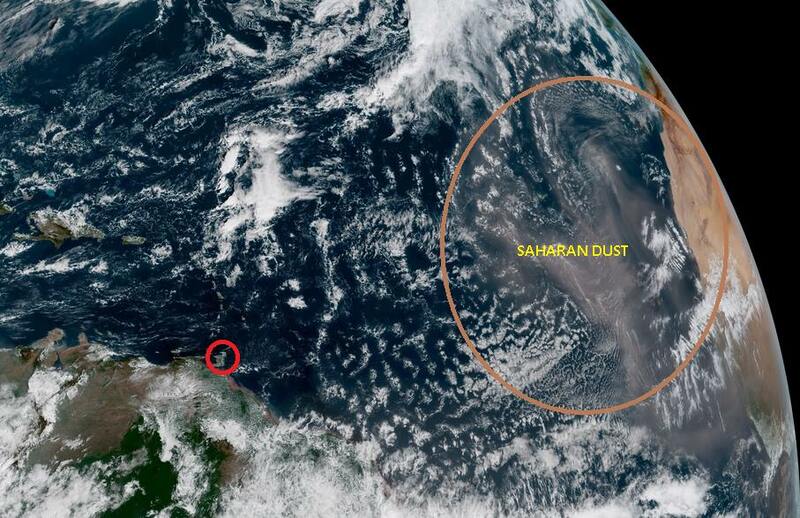 Photo: Saharan Dust over the Northern Range, courtesy the Trinidad and Tobago Meteorological Service. 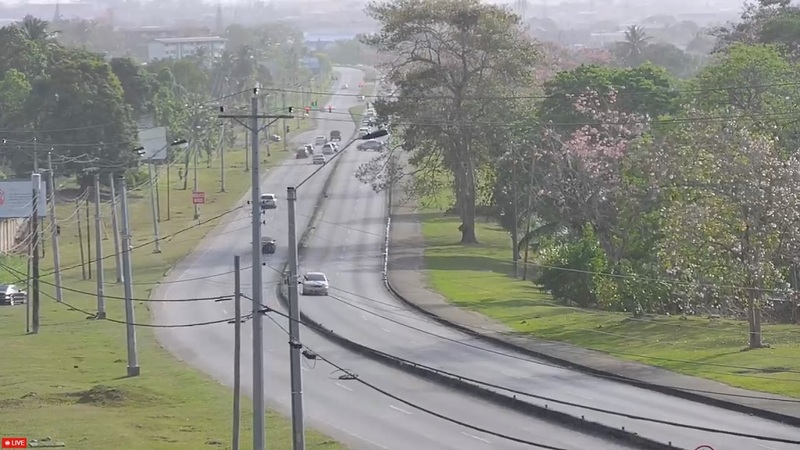 Drivers and seafarers are both being warned of limited visibility due to the presence of Saharan Dust, which has been affecting the islands since Saturday. 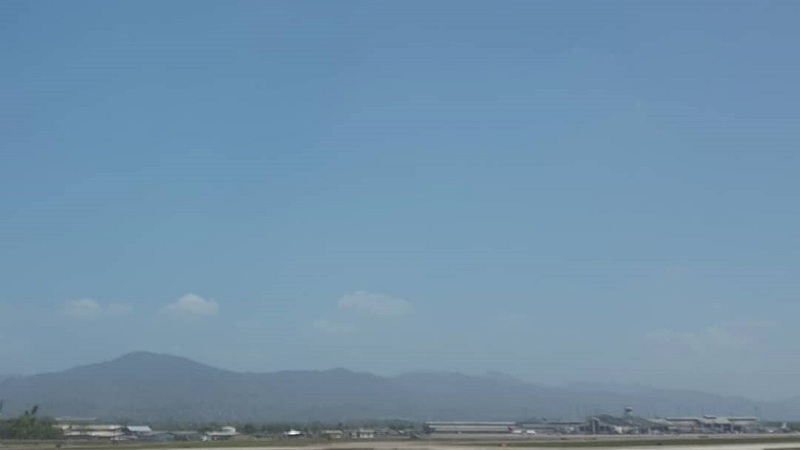 The Trinidad and Tobago Meteorological Service issued another update on Monday warning vulnerable groups to stay indoors if possible and limit exposure to the dust. Many have complained of burning eyes, nose and throat infections, sinusitis and even asthma attacks as a result of the ongoing dust exposure. 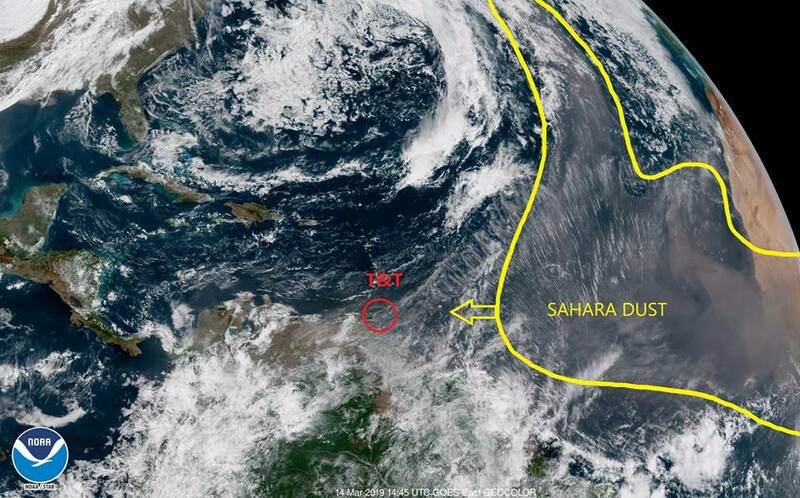 "A relatively thick plume of Saharan Dust reached the southern Caribbean islands on Saturday 16th March 2019. The dust was at its maximum concentration yesterday (Sunday 17th) and will slowly begin to decrease by later today (Monday) 18th with continued improvement over the following days. "Persons with respiratory concerns are advised to take particular note of the ongoing dust event and take the necessary precautions. Marine craft operators are also advised that the dust will strongly restrict visibility, especially during dawn, dusk, and night-time." "This restriction will become more severe in the vicinity of sea spray." The Met Office said it is monitoring the passage of the plume and the subsequent dust outbreaks and will inform the public accordingly. Children, the elderly and persons who suffer from asthma or sinusitis are particularly vulnerable to excessively dusty conditions.